Getting to Durban has never been easier, with a choice of cheap flights to Durban and a range alternatives by road, bus or train. It has an incredibly diverse and well developed transportation sector that is capable of catering for whatever your preferred means of travel is. The newly established King Shaka International Airport in La Mercy, approximately 35 km or a 30 minutes drive north of Durban central, on the Dolphin Coast, is undoubtedly the threshold to the Zulu Kingdom. 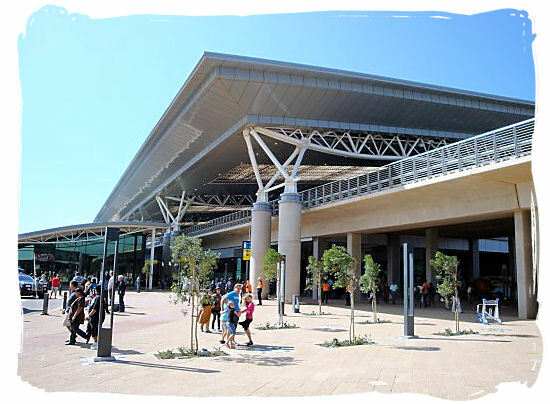 Having replaced the Durban International Airport as Durban's primary airport, the newly built King Shaka International Airport opened its doors on the 1st of May 2010. It is situated approximately 35 km (22 mi) north of the CBD of Durban, at the town of La Mercy in KwaZulu-Natal. Built in 2010, this world class facility is three times the size of the previous Durban International and incredibly efficient. The airport services both international and local flights and airlines comfortably and is capable of handling 7.5 million passengers per year. Its state of the art set up includes restaurants, shops, bars, a bank, numerous ATM facilities, and a post office. In addition, parking facilities, bus, taxi, limousine and car hire services are all available for your convenience. There are a host of accommodation options located around the airport, but if you prefer something more central, shuttle services can be arranged to and from all major hotels in and around the Durban Metropolitan area. 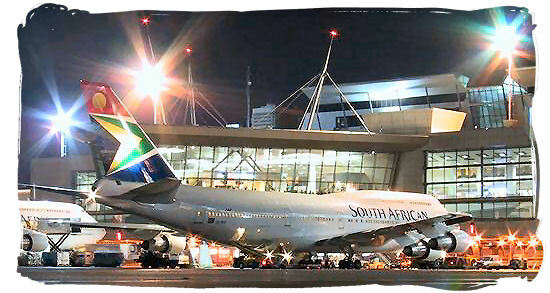 It is easy to see why in 2012 King Shaka was voted as one of the best airports in the whole of Africa! The interactive map below shows the location of the airport in relation to the city of Durban. If you click on the "view larger" map button, it will give you road directions, fully explaining how to get from the one to the other and vice versa along three different routes. At the moment there are only 2 international airlines operating flights to and from Durban, these are Air Emirates and Air Mauritius. As far as domestic airline companies are concerned, they all feature the King Shaka International Airport near Durban as one of their destinations. This means that visitors to Durban from abroad will have to fly via South Africa's main international airport O.R. Tambo International at Johannesburg and transfer from there to Durban. Below you will see a list of international airline companies flying direct to and from O.R. Tambo International Airport at Johannesburg and also a list of domestic airline companies offering flights between Johannesburg and Durban. All you need to do to access their websites and flight schedules and see what they are offering is to just click on the airline's name. List of international airlines flying direct to and from Johannesburg. List of domestic airlines carrying out flights to Durban and vice versa. 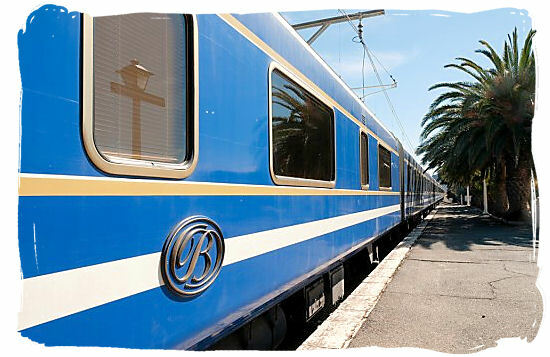 One of the number of travel options available to get to Durban, is by train. 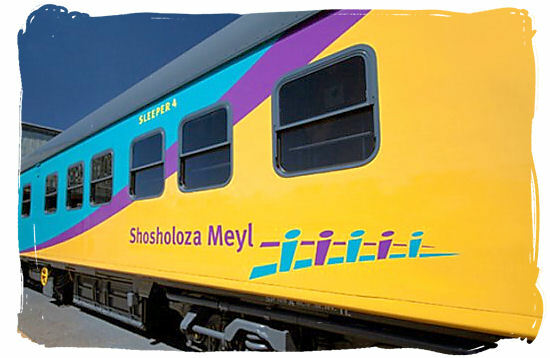 Shosholoza Meyl, a long distance passenger train service operating sleeper class trains with a tourist and a premier class, offers 2 affordable long distance services, a daily service to and from Johannesburg via Pietermaritzburg and Newcastle, and a weekly service to and from Cape Town via Kimberly and Bloemfontein. If you are looking for something more luxurious, The Blue Train is an opulent treat that shouldn't be missed. This train travels the scenic route between Zimbali Lodge in Durban to Durban and from there onwards to Cape Town. It is truly a unique, once in a lifetime experience. For the shorter distances within greater Durban area called the eThekwini metropolitan area, Metrorail offers a fast, affordable but basic commuter train type of transport. A well-developed road infrastructure links Durban with all other parts of South Africa, making travelling here by car an enjoyable and pleasant experience. Along the way there are many rest stops that provide for all your travel needs. Shops, ATM's, restaurants and clean hygienic public toilet facilities mean that traveling by car is often the preferred means of travel for South Africans wishing to holiday on the East Coast. The 2 main freeways are well maintained and include the N2, which allows for a scenic coastal drive between the Cape and Durban, and the N3, which follows the picturesque Drakensburg Mountains from Johannesburg. For a slightly more cost effective means of travel to Durban from other parts of South Africa, there are a number of bus services available. 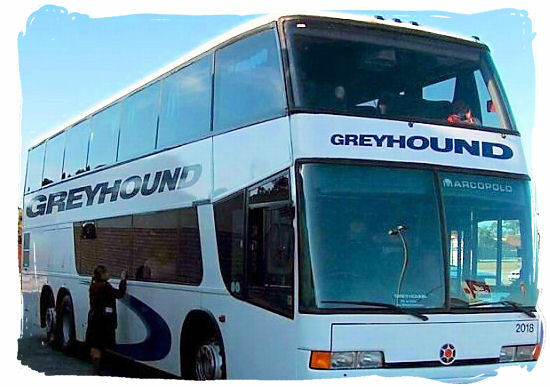 By far the most comfortable and reliable of these is the Greyhound service, which schedules regular trips to and from Durban. All the busses arrive and depart from Durban Station on NMR Avenue. If you are looking for something a little different, you can catch the Baz-bus. 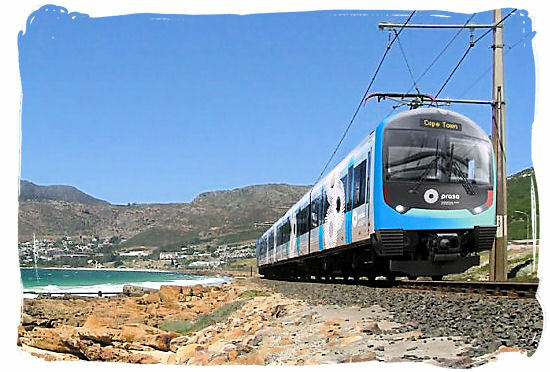 This is a fun service between Cape Town and Durban that allows you to take your time and explore the coast as you travel. There are a number of accommodation stops along the way for weary travelers to rest and refresh before continuing their journey. 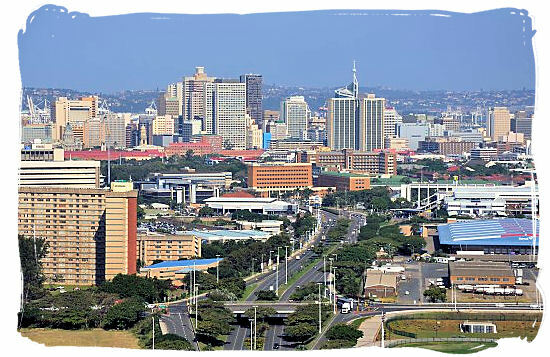 Durban has a well-established history as a Harbour Town. In terms of transportation, it has become busier in recent years with a number of local and international cruise ships docking here. Starlight cruises is the main line that uses Durban as a docking point, and there are many different cruises available to other parts of South Africa as well as international cruises that depart from here. Watch this video clip and witness the safe landing and docking at the gate of a South African Airways Boeing 737-800 at O.R. Tambo International Airport at Johannesburg. This video clip gives an excellent overview of the large number and variety of aircraft movements taking place at Tambo International Airport at Johannesburg. Durban's King Shaka International Airport offers an airport shopping experience that compares with the best in the world. It is all a matter of what you're looking for. Some lovely jewelry perhaps? Some luxurious treat to indulge yourself with (or a special someone else) or maybe you would like a relaxing massage. Perhaps all you want is just a memento of your African journey or a gift for your loved ones at home. You will have really wonderful time in the airports new shopping centre.